Google Inc. has sent Google Plus One Sticker, bunch of giant Google Plus One Sticker to most of the Google AdSense publishers. For some reasons, not all publishers got equal number of Google Plus One Stickers, some 3, some 4 some 6 and some more. Obviously, we will not use all of these Google Plus One Sticker and Google AdSense has clearly mentioned that Google Plus One Sticker can be distributed. So, here we have arranged a free giveaway of Google Plus One Sticker. This is the first physical material we are giving away. Afterwards we will arrange quite expensive hardware and other materialistic things as giveaways. How Google Plus One Sticker look like ? How to get Google Plus One Sticker from us as a giveaway ? As the number of Google Plus One Sticker is / are limited, it might exhaust very early or can be a tie up if we run first come first serve basis. Only 5 luck readers will receive this Google Plus One Sticker, definitely first come first serve is the main determining point, but if there is / are tie up, one who will give Plus one more to our posts will get the extra advantage. We will not carry the cost of shipping of Google Plus One Sticker Outside India or within India, the readers have to carry the shipping cost of DHL / Blue Dart. Just request via our contact us form with the subject line Google Plus One Sticker, mention your full name, address, phone number. We will close this Google Plus One Sticker giveaway on 31st October and the name of the readers will be updated here. This Article Has Been Shared 6066 Times! Keywords, Google Adsense and SEO : What is the actual relationship? For a beginner, it is often difficult to understand the relationship between Keywords, Search Engine positioning with nice SEO and money making through AdSense. We will discuss what should be your approach in this article. Losing visitors sharply almost always denotes something fishy. An established website or blog generally does not loss visitors very easily. Increase AdSense Revenue to few dollars instead of 1 cent horrible clicks. Yes,it is possible to increase your Google AdSense CPC if everything is done rightly. 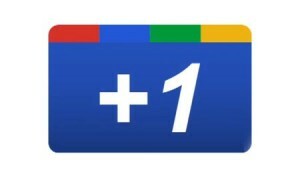 Cite this article as: Abhishek Ghosh, "Google Plus One Sticker (Official Sticker) Giveaway," in The Customize Windows, October 18, 2011, April 19, 2019, https://thecustomizewindows.com/2011/10/google-plus-one-sticker-official-sticker-giveaway/.